Certainly, men who were rendered insane by shellshock sometimes wandered aimlessly about No Man’s Land, screaming incoherently or moaning. Whether you’re a believer in the paranormal or a complete skeptic, you have to admit that war and battlefields provide the ideal conditions in which tales of the paranormal can flourish. The battlefields of the First World War were some of the bloodiest in all of history. 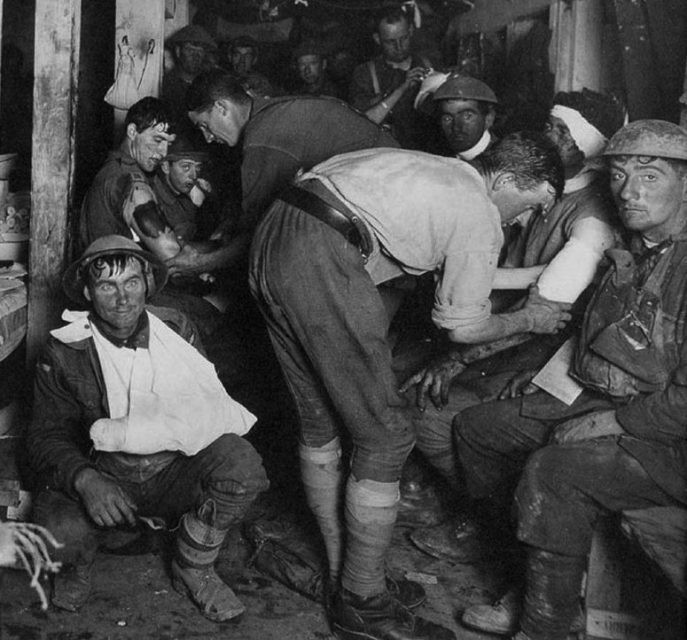 So many millions of men were living under tremendous stress in horrible conditions in the trenches. They were under the constant threat of death and pushed far beyond their psychological limits. As such, it comes as no surprise that many encounters with the paranormal were reported during the First World War, from armies of angels to ghouls who stalked No Man’s Land to UFOs shot down by the Red Baron himself. Perhaps the most famous story of the paranormal that came out of the First World War was that of the Battle of Mons in August 1914. That was the first major battle in which the British Expeditionary Force was engaged in the war. 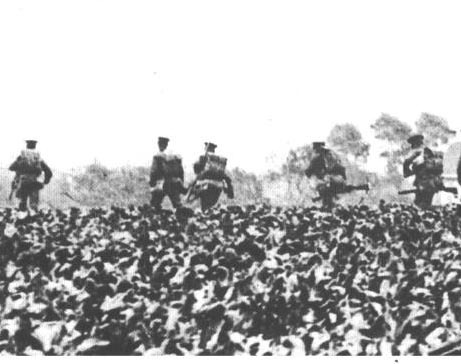 In the Battle of Mons, British troops were heavily outnumbered by the advancing Germans, and while able to hold them off initially, were later forced to retreat, with both sides suffering heavy losses. 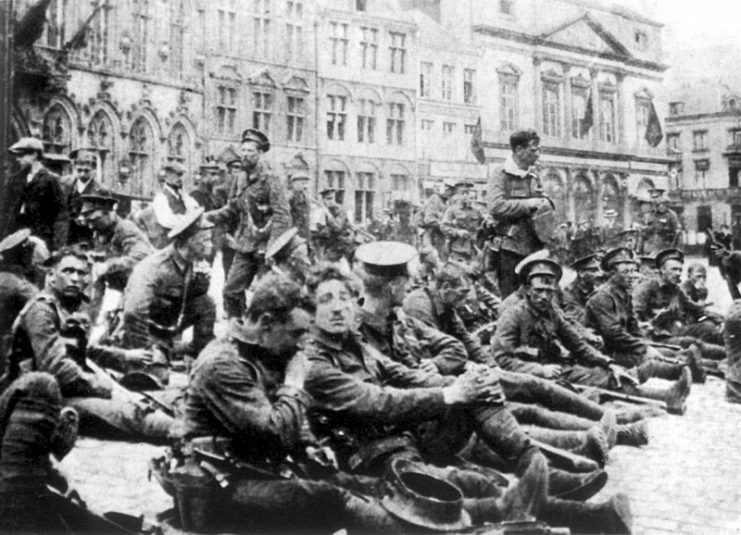 British soldiers from the Royal Fusiliers resting in the town square at Mons before entering the line prior to the Battle of Mons. The Royal Fusiliers faced some of the heaviest fighting in the battle and earned the first Victoria Cross of the war. A peculiar story began to do the rounds in Britain shortly after the battle – a story of divine intervention on behalf of the British force. It was said that during the British retreat, a British soldier called on Saint George to help them. After this (depending on which version you believe), a ghostly army of angels, or armored cavalrymen, or 14th-century English longbowmen, or even Joan of Arc descended on the battlefield. They swept through the German forces, holding them back long enough for the British to make a retreat to safety. This story gained so much traction back in Britain that, by 1915, accounts of this spectral force that had supposedly aided the British Expeditionary Force had been printed in newspapers all across Britain and had been presented as a factual occurrence. The problem is, though, no reliable contemporary eyewitness accounts can be found to substantiate this event. The tale can likely be traced back to a short story published in September 1914 by Welsh author Arthur Machen. Somehow, his fictional piece was construed by a few individuals as a factual account. It snowballed into the form of a legend-presented-as-fact that then swept across Britain a few months later. Other strange reports that came from the First World War dealt with another phenomenon that would, in a few decades, explode in popularity after the “foo fighter” sightings of the Second World War: UFOs. 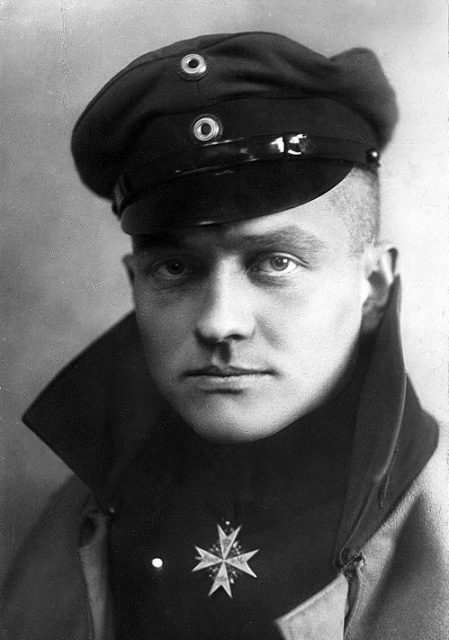 One particularly famous UFO sighting was reported by German flying ace Manfred Freiherr von Richthofen, who is better known as the Red Baron. 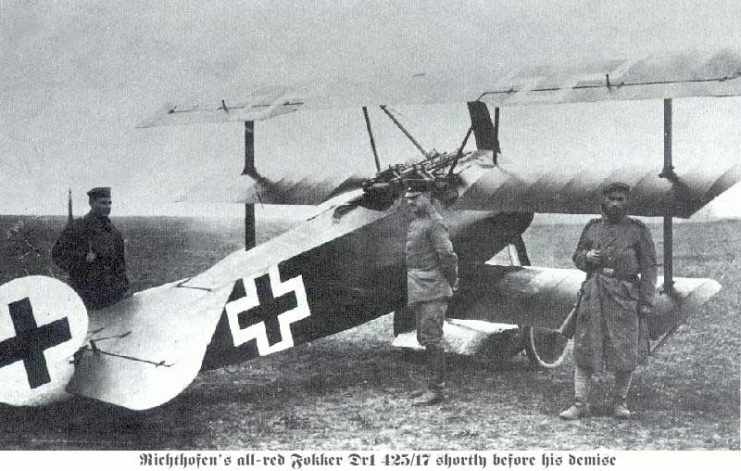 In the spring of 1917, the Red Baron and another German ace, Peter Waitzrick, were flying a mission over Belgium when they allegedly spotted a large silver flying disc with orange flashing lights. The Red Baron engaged the UFO and shot it down. Apparently, it crashed into the forest below, after which the Red Baron and Waitzrick supposedly saw two humanoid creatures climbing out of the wreckage and escaping into the woods. 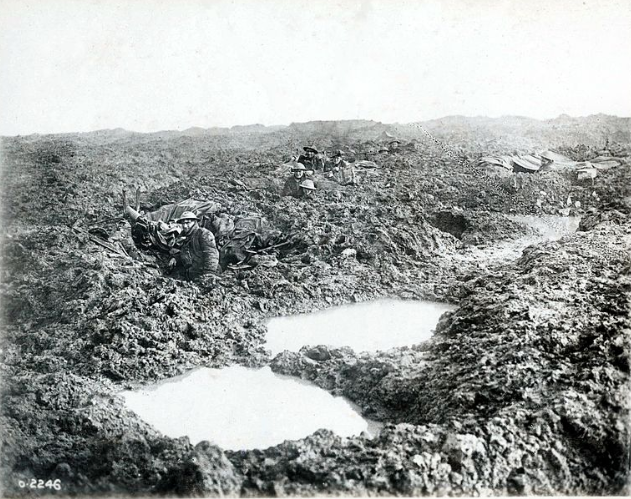 Perhaps the creepiest reports that came from the war were those of ghoulish “wild men” who lurked in the mud, abandoned trenches, and haze of No Man’s Land. These ghouls would emerge in the darkness to loot the dead and, in some instances, feed upon them too. According to the various legends surrounding the wild men of No Man’s Land, they were groups of deserters from all nations who had banded together. Depending on which slant of the story you’re looking at, their purpose was either to renounce war and try to survive as human beings or, at the other end of the spectrum, they were raving lunatics who had renounced civilization completely and lived by stealing, killing, and cannibalizing. However, like the other stories mentioned so far, there seems to be little factual basis for the existence of any actual bands of “wild men” who inhabited No Man’s Land. 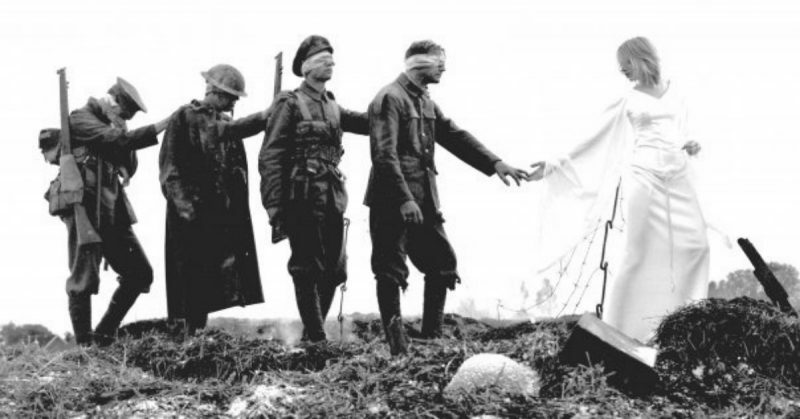 Tales of the ghoulish and crazed behavior of deserters may have been created in order to frighten troops away from the idea of deserting, or such stories could have been inspired by the sight of men who had been pushed beyond their psychological limits by the immense stress of trench warfare. Certainly, men who were rendered insane by shellshock sometimes wandered aimlessly about No Man’s Land, screaming incoherently or moaning. But they weren’t ghouls or murderers — they had simply lost their minds and were as harmless to their own men as they were to the enemy. Australian Advanced Dressing Station near Ypres in 1917. The wounded soldier in the lower left of the photo has a dazed, thousand-yard stare – a frequent symptom of “shell-shock”. While the myths, legends, and fanciful tales of the paranormal that sprung up around the First World War are entertaining to read about, they generally have little basis in reality. Nevertheless, these stories persist well over a hundred years later, with many still being reported as fact. In this day and age of fake news and post-truth, that’s something that probably isn’t going to change any time soon.